Constructive trusts significantly interfere with the rights of an apparent legal owner of property. This makes it necessary for their imposition to be properly explained and justified. 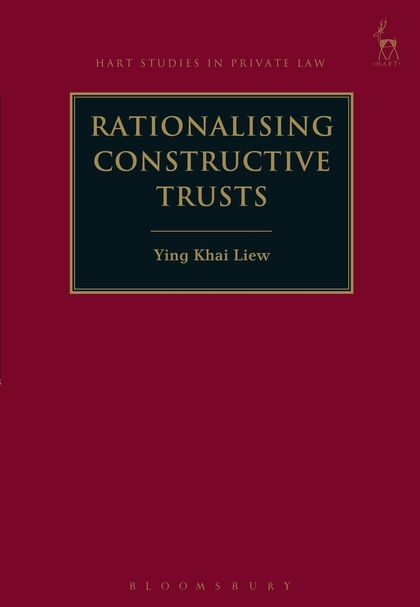 Unfortunately, attempts to rationalise constructive trusts as a whole-as opposed to specific doctrines or particular aspects of constructive trusts-have been few and far between. 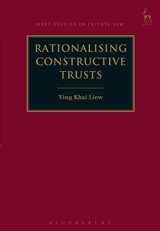 Rationalising Constructive Trusts proposes a new structure for a coherent understanding of constructive trusts. By using a combination of conceptual tools, it provides answers to a number of crucial questions, for example: What are the ingredients of a constructive trust claim? What are the limits of constructive trusts? How can we rationalise the imposition of constructive trusts in particular situations? Why do judges exercise varying degrees of remedial discretion in different doctrines? From a wider perspective, the structured understanding helps us to appreciate the precise ambit and role of express, constructive, and resulting trusts. Ying Khai Liew is Senior Lecturer in Law at the University of Melbourne.